Nine EU member states are being called into Brussels in a final push to get air pollution limits under legal limits. 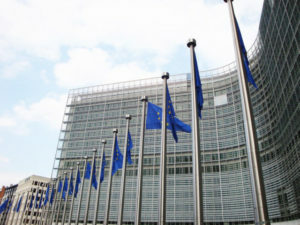 The air quality ministerial summit on 30 January will give the UK along with the Czech Republic, Germany, Spain, France, Italy, Hungary, Romania and Slovakia a chance to prove that they are taking action to comply with European air quality laws following final warnings of future legal action sent last year. In the UK, the warnings cover persistent exceeding of NO2 limit values in 16 air quality zones, including London, Birmingham, Leeds, and Glasgow. The UK is already facing its third legal action in the High Court by environmental law firm ClientEarth over claimed holes in its latest air quality plans, which were published in July. The full-day High Court session this Thursday 25 January will hear arguments from barristers representing ClientEarth, the UK Government and the Welsh Government, with ClientEarth saying that a judgment on the day is possible. The firm’s lawyers are calling for a national network of charging clean air zones. The Commission added that 23 out of 28 Member States air quality standards are still being exceeded – in total in over more than 130 cities across Europe.